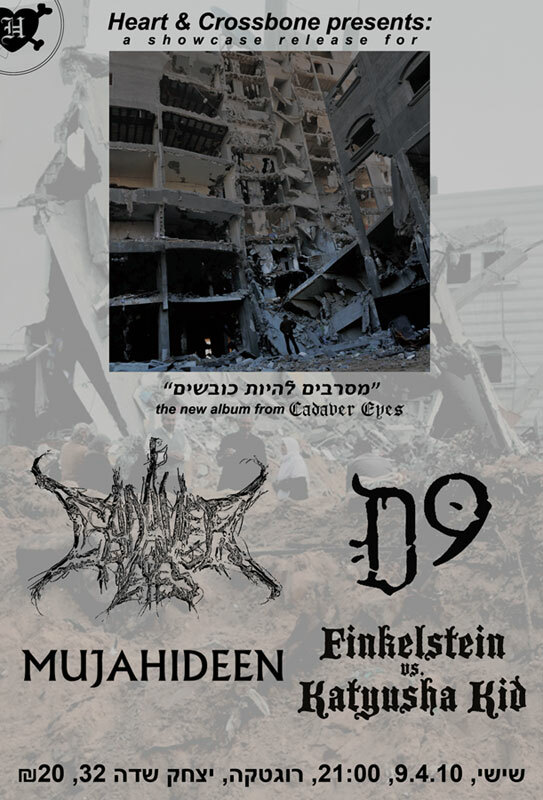 We’re celebrating a new release by the awesome Cadaver Eyes — “מסרבים להיות כובשים” — on Friday (April 9th), at the Rogatka. Live shows by Mujahideen, D9 and Cadaver Eyes, and a fucked-up, mish-mashed, heavily processed dj set by Katyusha Kid and myself (you know, Finkelstein). Fink-o, your site keeps freezing my VISTA. I actually want to thank you for that.